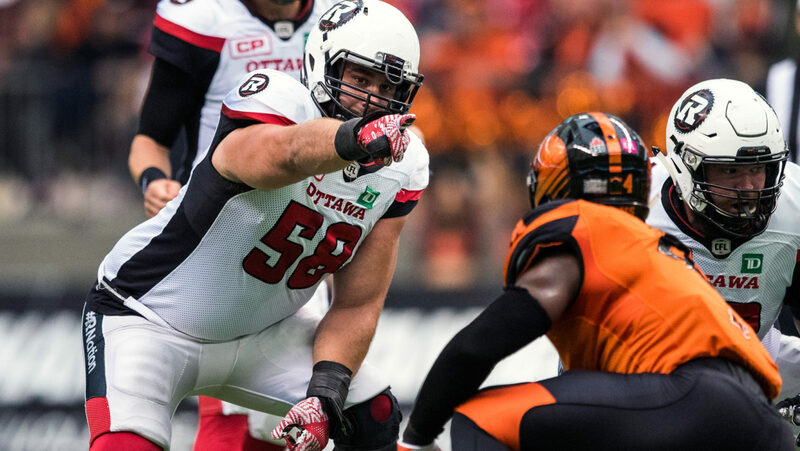 OTTAWA — The Ottawa REDBLACKS have re-signed Canadian offensive lineman Jason Lauzon-Seguin (two years) and American defensive lineman Avery Ellis (one year) to contract extensions, the club announced Friday. Both were set to become free agents later this month. Lauzon-Seguin has played in two Grey Cups in his three seasons in the league, winning it all as a rookie in 2016. The Laval product played 15 games for the REDBLACKS in 2018 and has appeared in 47 CFL games since being drafted by Ottawa seventh overall in 2016. While limited due to injury last year, Ellis put up 15 defensive tackles, three sacks and a forced fumble in nine games in 2018, his second in Ottawa. He has 28 tackles and six sacks in his rookie season with the REDBLACKS in 2017.